Special thanks to Lianna Patch for the fine review of The Holy Mark, which was published in the February issue of New Orleans Living. 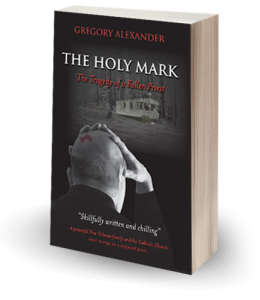 Knowing so many of the places referenced in The Holy Mark, I am anxious to read the author’s narrative and unlock the mystery of this human psyche. So many of us grew up under the beliefs and constraints of the New Orleans Catholic Church during this tumultuous time of questioning government and religion – seeking to understand the societal and sexual changes we were inheriting and creating.